By NNA Staff on February 01, 2010 - The “venue” portion of the notarial certificate can be a source of confusion for Notaries. By NNA Staff on February 01, 2010 - Liability concerns continue to grow, and the public’s demands to protect their transactions from fraud have never been more urgent. By NNA Staff on February 01, 2010 - Impartiality is crucial to ensure the integrity of notarized documents. By NNA Staff on February 01, 2010 - Mortgage lenders are beginning to hire new employees to service loans, a subtle sign that business could be picking up in the real estate industry. 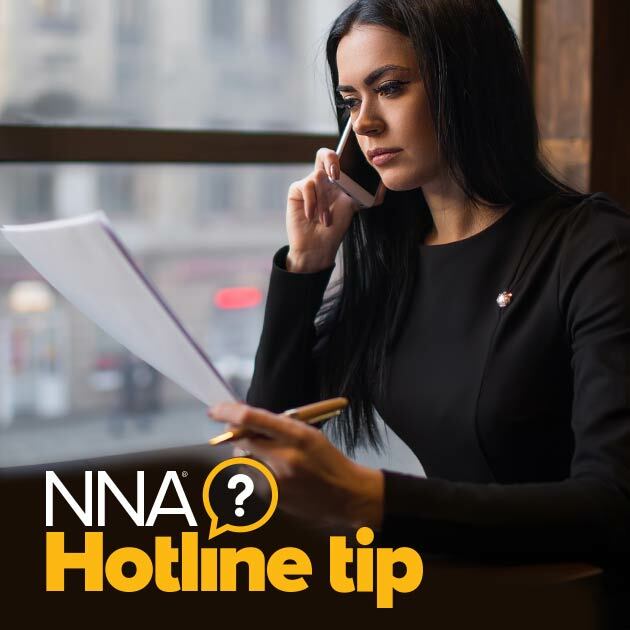 By NNA Staff on February 01, 2010 - Any time you change your name or address, it must be communicated to your state’s Notary Public authority as soon as possible. Read what to do. By NNA Staff on February 01, 2010 - Notaries who have failed to follow best practices, or who have “slipped” on paying attention to detail, have inadvertently launched a small, but growing trend of mortgage lenders implementing their own requirements and rules for the Signing Agents they hire. By NNA Staff on February 01, 2010 - Oregon’s Secretary of State has revised the state’s statutes to allow Notaries to charge higher fees, increasing the allowable charge for most notarial acts to $10. By NNA Staff on February 01, 2010 - National Notary Association Member Gerrie Pierre-Fleurimond knows exactly how important it is to help the people of Haiti. Both she and her husband are of Haitian descent, and when the devastating earthquake hit in January they spent several days frantically searching for relatives and loved ones. By NNA Staff on February 01, 2010 - The NNA has published a much-anticipated revision of its Model Notary Act — the landmark model that, for 40 years, has grown in importance as a guide for lawmakers to improve standards of care for Notaries. By NNA Staff on February 01, 2010 - Notaries in West Virginia are now being notified of pending commission expirations by postcard — a move the Secretary of State’s office says will save on mailing costs.